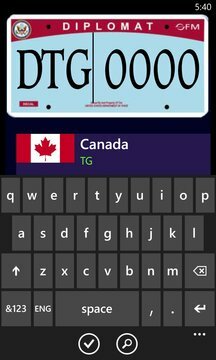 Diplomatic Plates Explorer lets you find and collect Diplomatic License Plates you find in the United States. Diplomatic license plates are issued to foreign residents in the US that are most often assigned to an embassy or consulate. 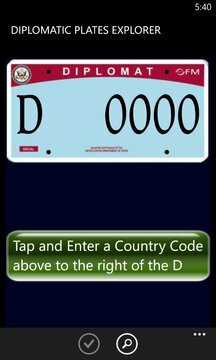 This app gives you a fun way to explore and collect diplomatic plates.